This Talalay Living Barkalay Dog Bed Review was recently completed by the MattressJunkie.com team. Talalay Living believes that everyone deserves extraordinary sleep. Dogs were also lucky enough to be included in Talalay Living’s extraordinary sleep campaign. The Talalay Living Barkalay Dog Bed ensures your pet sleep aches and pain free on the same high quality, 100% Pure American Talalay. Just like the pillows and toppers from Talalay Living, the Barkalay is extremely nice. 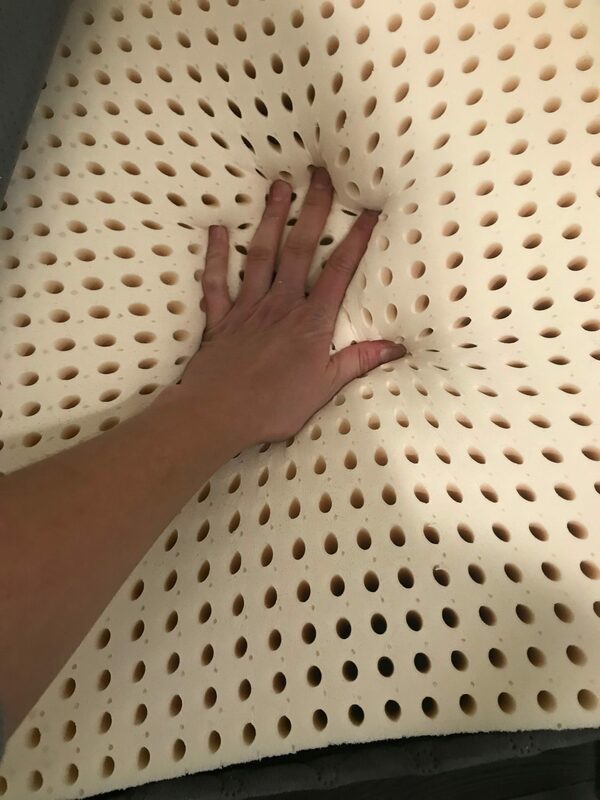 Learn more about the Talalay Living Barkalay Dog Bed below. What size is the Talalay Living Barkalay Dog Bed? Talalay Living Barkalay Dog Bed is 38 inches (length), 26.5 inches (width), 6 inches (height). 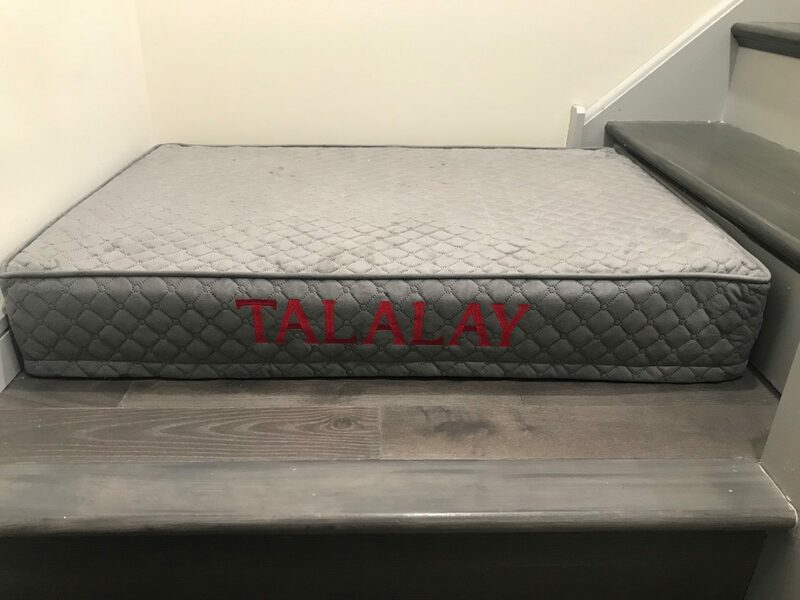 What’s the Talalay Living Barkalay Dog Bed made from? The Barkalay is 100& Pure American Talalay Latex. Talalay latex is ultra-breathable, hypoallergenic and free from any harmful chemicals. Tell me more about the Talalay Living Barkalay Dog Bed cover. The Talalay Living Barkalay Dog Bed cover is made from a breathable knit fabric that easily unzips for washing. The cover is high quality and durable. How much does the Talalay Living Barkalay Dog Bed cost? The Talalay Living Barkalay Dog Bed costs $127. Let’s face it, we love our pets and want the very best for them. Talalay Latex is a high quality, high end sleep surface for humans. You want your pet to sleep comfortable just like you do. The Talalay Living Barkalay Dog Bed is high quality, durable, and made from 100% Pure American Talalay Latex. My dog chooses this bed over the couch now…. 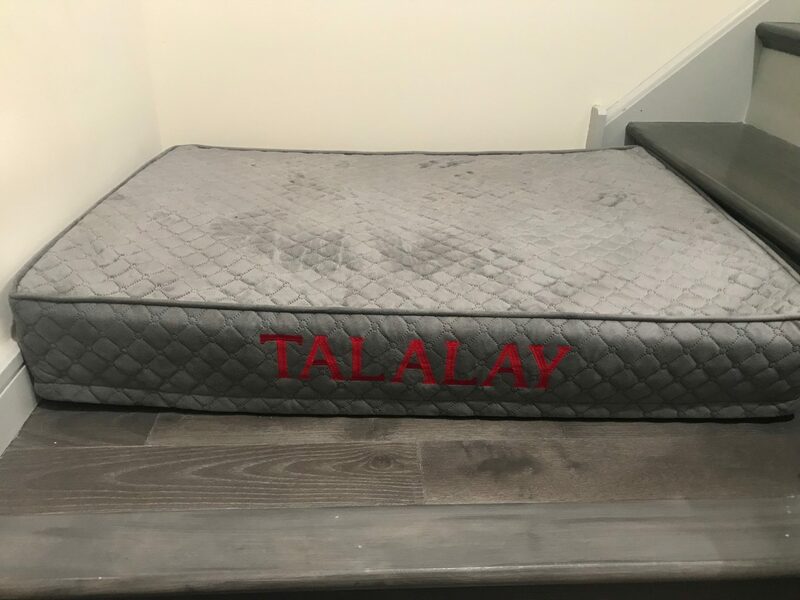 Order your Talalay Living Barkalay Dog Bed here…..